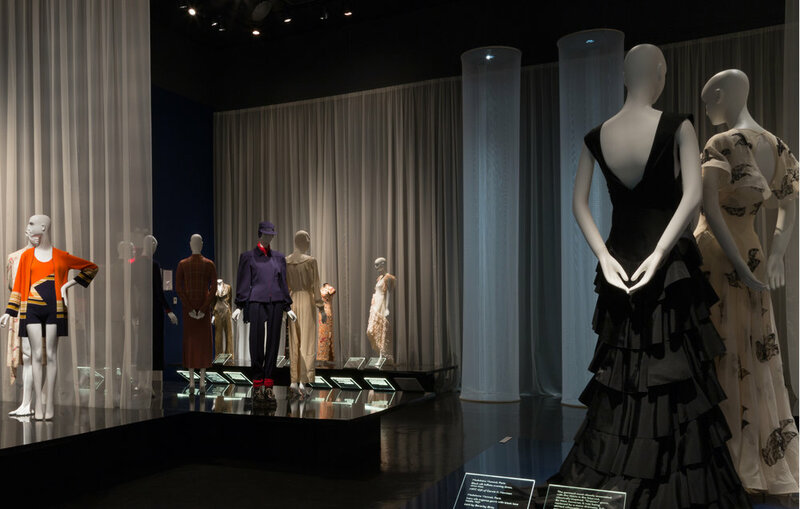 Ackert Architecture with FIT designed this installation for a show about clothing from the 1930’s entitled: Elegance in an Age of Crisis: Fashions from the 1930’s. The show is split between an intro and a main gallery space. Accessories are shown in the front room with the heart of the show in the main gallery space. The concept for the show was inspired directly by the clothing. Many of the most striking pieces were made from elegantly flowing fabric and designed to be seen from different angles. The installation is composed of 10 overlapping and cantilevered platforms which float from the ground and frame a central open viewing area. 18’ high sections of translucent draperies are used to create backdrops and dividers between platforms. The translucent fabric allows viewing in the round from various vantage points and through multiple layers and lighting effects. The platforms are constructed of midnight blue and black colored glossy laminates that reflect the clothed figurines and curtains like a still water pool on a summer evening. 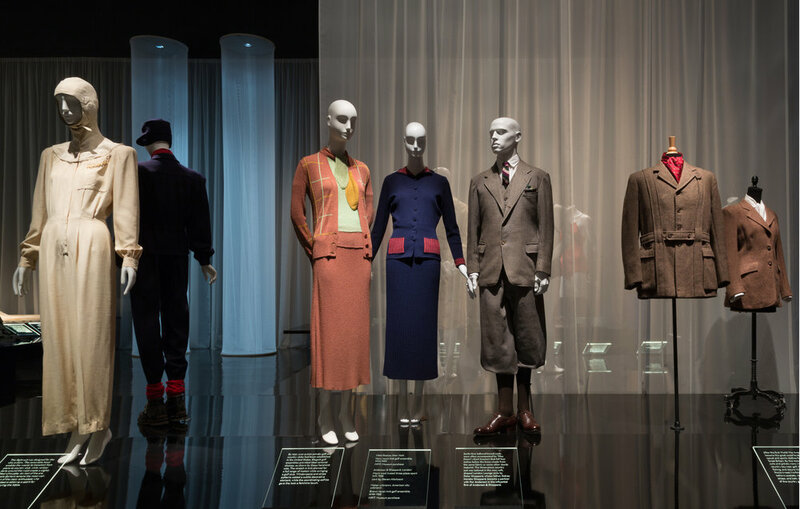 The show features evening, active and casual wear of the period from around the globe, as well as a collection of shoes worn by Fred Astaire. A more detailed list of objects and clothing can be obtained from the museum.